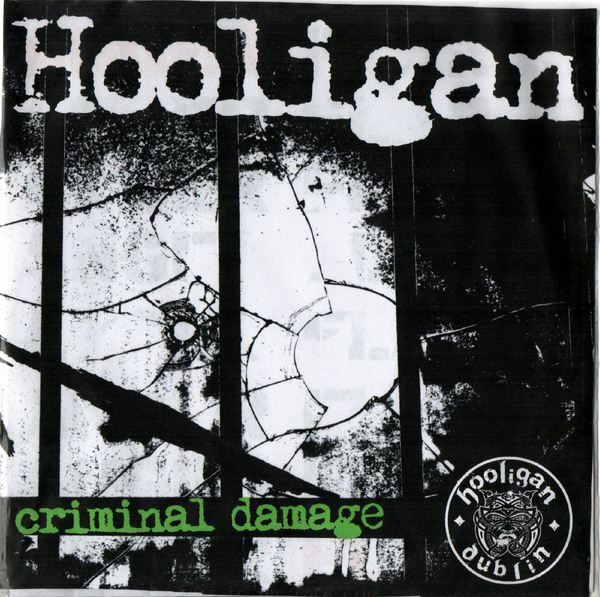 Hooligan are the latest in a long line of fast as feck and fantastic punk rock bands out of the Emerald Isle. Formed in Dublin in October 2009 ‘Criminal Damage’ is the bands fourth EP just out this week on the American record label ‘Oi! The Boat’. After the critical success of their previous releases ‘No Blacks, No Irish, No Dogs’, ‘Prodigal Son’ and ‘Punk Rockers And Hell Raisers’ Hooligans name is on the rise all over Europe. The comparisons with The Angelic Upstarts are well justified. I haven’t been able to listen to second song ‘Street Punk Hero’ without thinking its gonna be the Upstarts ‘Never Ad Nothin’ but there’s also elements of the UK Subs and Stiff Little Fingers in there too. The title track is the stand out by a smidgen but the quality is spread across the whole record. They don’t just sound like an iconic and classic punk band, Hooligan are quickly becoming an iconic and classic punk band in their own right. Great musicianship and lyrics mean another four great tracks of uplifting punk rock with a message that hit home and only leave us wanting to hear more!